Scott Russell was most recently the Vice-President of Sales and Marketing for Sandestin® Golf and Beach Resort in Destin, Florida. 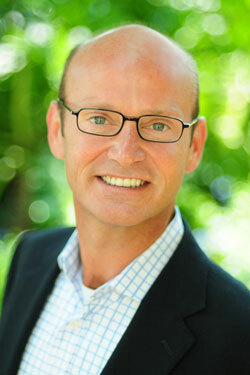 In his role, Russell oversaw all Sales and Marketing activities for Sandestin. He also served as strategic counsel for the Marriott Courtyard and Marriott Residence Inn, both located at Sandestin, as well as Cottage Rental Agency in nearby Seaside. His responsibilities also include oversight of Silver Shells, Silver Beach and The Palms located in Destin. Russell served more than 18 years with The Ritz-Carlton Hotel Company, most recently as vice president of sales and marketing for the company’s properties in the Caribbean and Mexico. During his tenure with Ritz-Carlton, Russell was also responsible for all company-wide sales training initiatives as well as Vice-President Global Sales, North America. In addition, he held senior leadership roles with Ritz-Carlton New Orleans and Ritz-Carlton Atlanta. Prior to joining Ritz-Carlton, Russell spent six years with the Le Meridien Hotel in New Orleans, where he served as sales manager, assistant director of human resources, and director of training. Recently he was awarded the Walton Area Chamber of Commerce Leadership in Excellence Award as well as “Brilliant Boss” by Simon T. Bailey in a nationwide search. Russell also serves on the Advisory Board for Visit South Walton the local TDC in Walton County.